Edible Oils, Ghee, Vanaspati, Lubricants,shampoo,hair oil etc come under this category. 2. 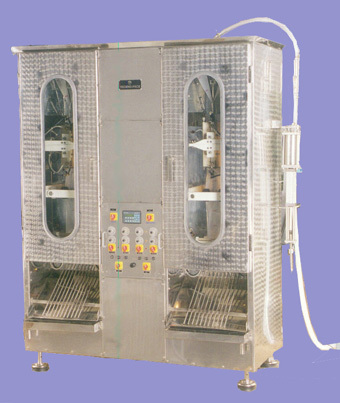 Capacity : 20 to 30 bags / min. 2. Capacity : 30 to40 bags / min. 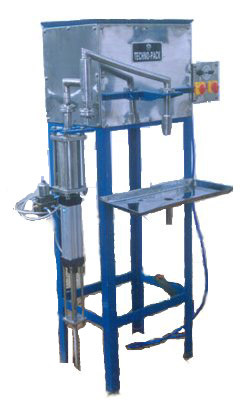 The Machine shown is twin Pouch Packing machine for filling &sealing Viscous Liquids Like Hair Oils, Ghee, Vanaspati,Lubricants etc. in small pouches. Works : Plot F-14 (Part - A), Jeedimetla, Phase-I, Pipe Line Road, Hyderabad - 500 055. 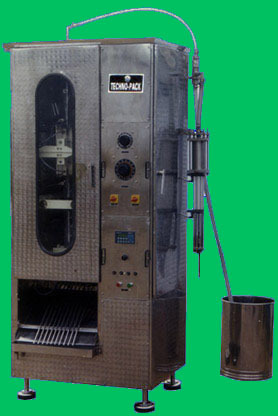 � 1999 Aster Techno-Pack Systems Pvt Ltd, India.